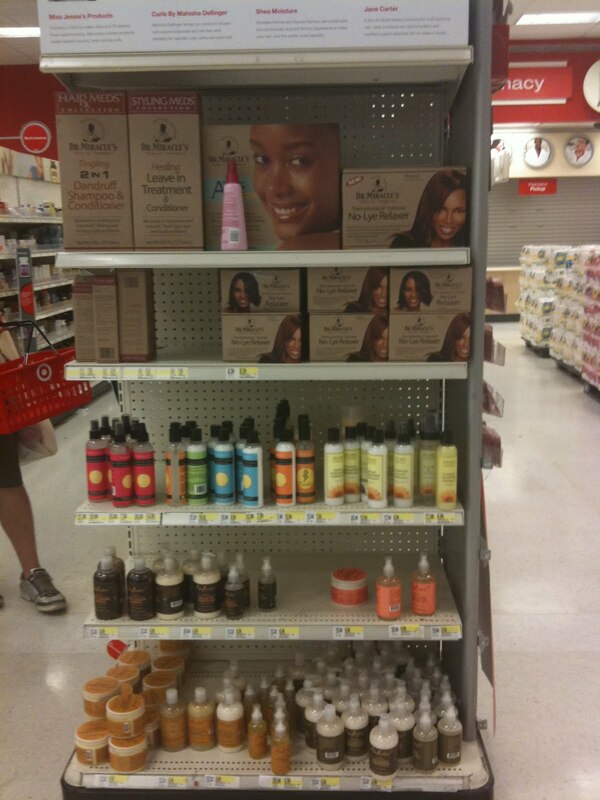 When I did go to Target last week for some household items, where I was sadly floored by the "natural section" I still managed to put a few hair care items in my cart. I got a bottle of Curls Cleansing Cream and a bottle of Yes to Cucumbers Daily conditioner. So let's start with the surprise that crept up on me... the bad news. So on to the product I've slept on. The good news! 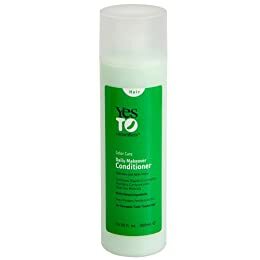 I moved on to the Yes to Cucumbers Conditioner. Background info- I loooove the C is for Conditioner Yes to Carrots one, so I had high hopes, but a skeptical mind because it says "daily" and "color care" on the Cucumbers bottle. I figured it was a lighter version of the Yes to Carrots I love. I have heard curlys rave about it (here and here) though so my PJ alter ego got it for me. In the shower: I painstakingly sectioned my hair into 4 with my hands and squirted a huge glob in my palm. I put it in the front left section liberally and MY GOODNESS, it multiplied. It has a bit of a sudsing action, kinda like the Yes to Carrots but more like the old school cholesterol deep conditioners I used to use back in the day, but with more slip and better smell and ahhhh.... I was like what IS this. I picked up the bottle and read it again. "Conditioner." "daily care." I used my shower comb and got through the tangles with no trouble at all, even combining the two back sections into one. I was so very happy with it. So very happy. it cost kinda a lot, but I don't need a lot, and I don't wash my hair often, but I do wash and goes often, I could use it for that OH I wonder about using as a leave in like they say, but the suds. oh the suds mmmmmm, it would work as poo though, the smell is good, fresh. yes. This is mine. how much did I use all super heavy handidly... oh not that much pheeww...maybe it will help with my highlights somehow too. sniff. yum. yeah this is good, very good. I. must. tell. people!" Sorry about that bad experience, but hooray for finding a new product you like. Your stream of consciousness was hilarious. You are making me want to try the Yes to Cucumbers. Curly Nikki was raving about it as well. When I get some play play money, I'll have to check it out. your stream of consciousness WAS hilarious. Yes to Cucumbers is great for my hair as well! If you have a Ross (store) in your area, they sell it there for $3.99 (at least where I live in NC). hahaha love the stream of consciousness. i should grab some when i run out of my other conditioner (hello hydration & nature's gate biotin) I'M FIGHTING PRODUCT JUNKYISM! Yes to Cucumbers is EVERYTHING!!! I cheapest I've seen it here in NY was $7.99 in target...I've heard in Cali that it's usually on sale in ROSS and I'm always in Cali and I haven't ran into that deal...but I definitely put a stamp on your rave on YTC!!!! Ok I know this really doesn't have anything to do with the post (although I'll be sure to check out Yes to Cucumbers) but I have a question. 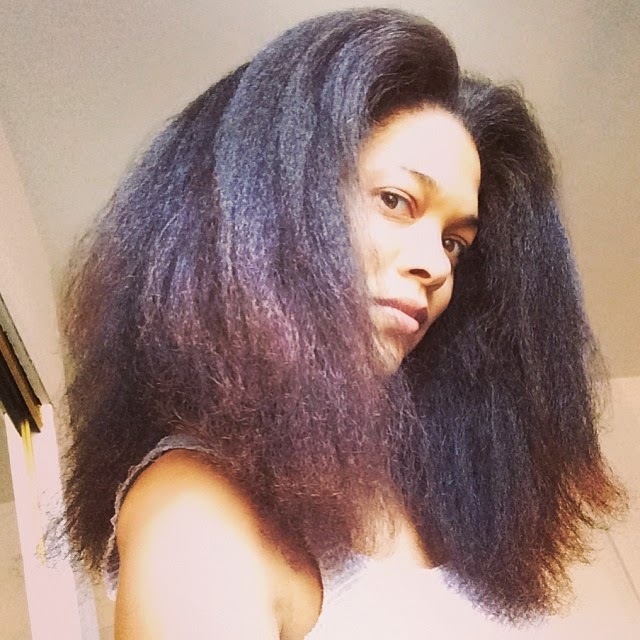 I'm currently transitioning from heat damaged hair so I've been going to my salon about once a month to have hair cornrowed, braided, flat-twisted, etc. and every time I go to get my hair done my stylist does a blowout on my hair before styling. So I was wondering would this cause heat damage and kind of defeat the purpose?